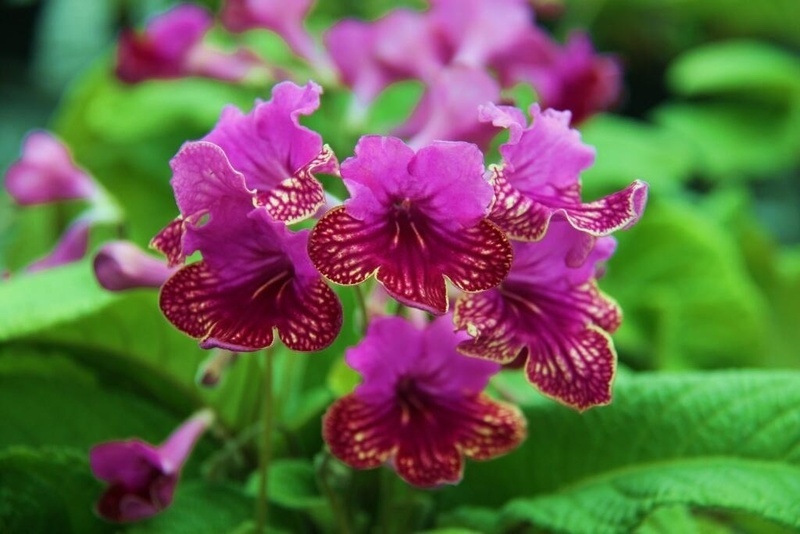 Leading Plant Conservation charity, Plant Heritage is offering visitors to the Hampton Court Palace Flower Show the opportunity to be the first to name a stunning new Streptocarpus cultivar, which will be on display in the Plant Heritage marquee. The plant has been bred by Streptocarpus National Collection holder, Dibleys Nurseries, Denbighshire and will be on sale in garden centres nationwide from June 2015, named by the lucky winner of this show competition. The upper lobes on the un-named cultivar are cyclamen purple, whilst the dominant colour on the lower lobes is beetroot purple, complemented by a golden band defining the lower edge. As the plant matures, the yellow spreads over the lower lobes. The flowers are medium sized, with up to ten blooms per flower head and the overall proportions of the plant are very pleasing with compact leaves and medium length flower stalks. This variety will flower from early April to late October each year. For an opportunity to enter this competition visitors can pick up a competition form from the membership stand in the Plant Heritage marquee (PH2). Entries cost £1 per suggested name, with all donations will go toward the charity’s vital work in plant conservation. The name will be chosen by Lynne Dibley and the winner will be contacted by Friday 19th July.